The Mountain Buggy legacy began in 1992, with a father's need to create a buggy with all terrain agility; to enable him to enjoy the New Zealand mountain trails with his baby. So with precision engineering, he crafted the foundations of Mountain Buggy’s legendary all terrain platform. 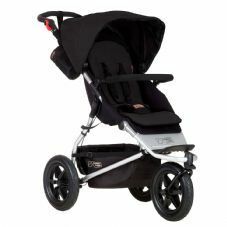 From newborn to toddler, the mountain trails to the city streets – Mountain Buggy enables parents to live life without limit.